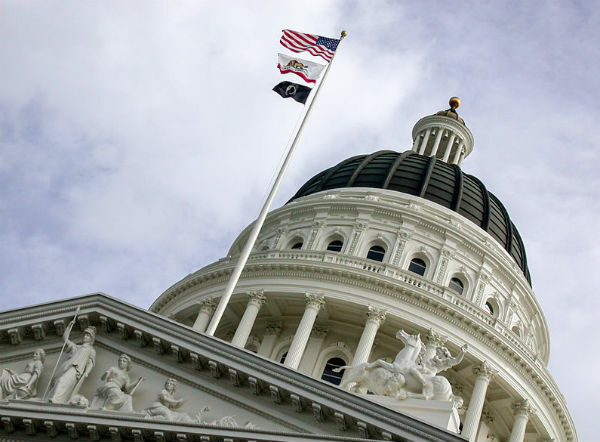 The California State Senate has passed a bill declaring conversion therapy a “fraudulent practice,” effectively banning it by making it possible to bring legal action against those who engage in the practice for profit. By declaring conversion therapy a fraudulent practice under the state’s Consumer Legal Remedies Act, the bill adds protections for adult consumers who have been duped paying for conversion therapy, or harmed by being subjected to it, to potentially pursue legal action or recoup their investment. The Senate added several amendments to Assembly Bill 2943 to clarify that it is unlawful to advertise or sell services that constitute conversion therapy for profit, and to clarify that the bill does not ban psychotherapies that are sexual orientation-neutral that seek to curb unsafe or illegal sexual practices or seek to promote healthy sexual and romantic relationships. The amended bill passed the Senate 25-11, and now heads back to the Assembly for a concurrence vote. The original Assembly version was passed by a vote of 50-18, and, given that the amendments were “friendly,” are likely to be accepted and approved by a majority of the Assembly. The dome of the Capitol building in Sacramento – Photo: Alex Wild, via Wikimedia. In 2012, California passed a law banning the practice of conversion therapy on minors. The law warned medical or mental health providers who provide such services that they could risk the loss of their license if they subject minors to the therapy in violation of the law. But since that law passed, some LGBTQ advocates have raised questions about a lack of protections for adults who are struggling with their sexuality, and might be targeted by providers who claim they can successfully alter a person’s sexual orientation or gender identity. Several mental health, medical, and counseling organizations, including the American Medical Association, the American Psychiatric Association, and the National Association of Social Workers, oppose conversion therapy on the grounds that it is not based in science and can potentially harm an individual’s mental health. A 2009 report by an American Psychological Association task force found that conversion therapy “poses critical health risks” and contributes to anti-LGBTQ stigma by characterizing homosexuality or transgenderism as diseases. As such, the association advises mental health professionals to avoid telling patients that they can change their sexual orientation. Other studies have shown that conversion therapy can decrease people’s self-esteem, and can lead to depression, self-harm, or suicidal ideation.